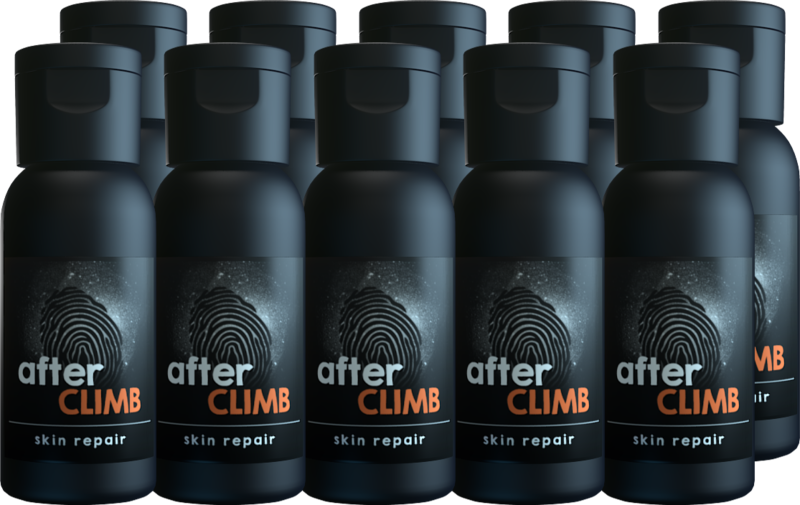 afterCLIMB is a gel, not a salve or bar, for rock climbers who want to keep their skin in the best possible condition. It's main ingredients provide temporary relief from skin and joint pain while promoting normal, healthy skin and its repair. 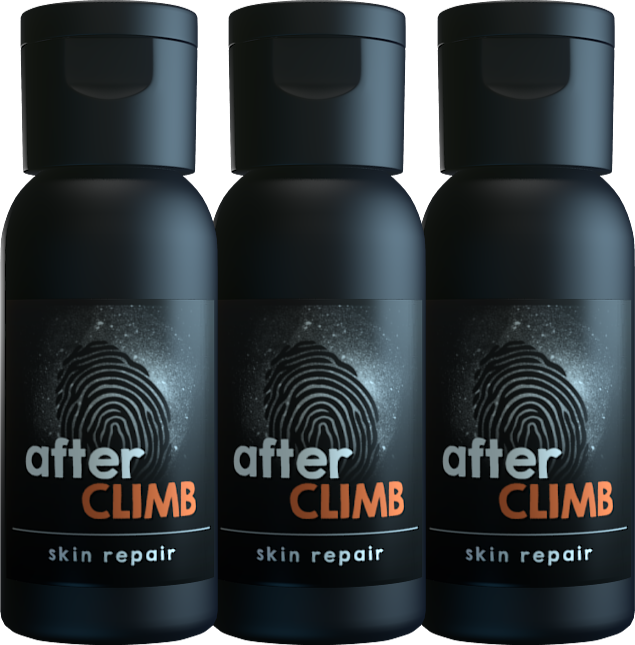 After a climbing session, thoroughly wash your hands then apply a small drop of afterCLIMB to your fingertips. Gently rub the soothing gel into your skin. After less than a minute the main ingredients in afterCLIMB will start to function in the ways below while the medium evaporates and leaves your hands without a greasy feeling. Promote skin repair and cell hydration. Reduce tingling, painful and burning fingertips. You're a climber, we're climbers. We want the same things.